This year at the Salers National Jr. Show we offered a chance for every exhibitor to enter into a drawing for a Prize Package Giveaway if they attended the Stock Show University Clinic. Three winners will be chosen throughout the duration of the Junior National and the winners are only announced on The Pulse, so be sure to keep checking back this week for our other two winners! 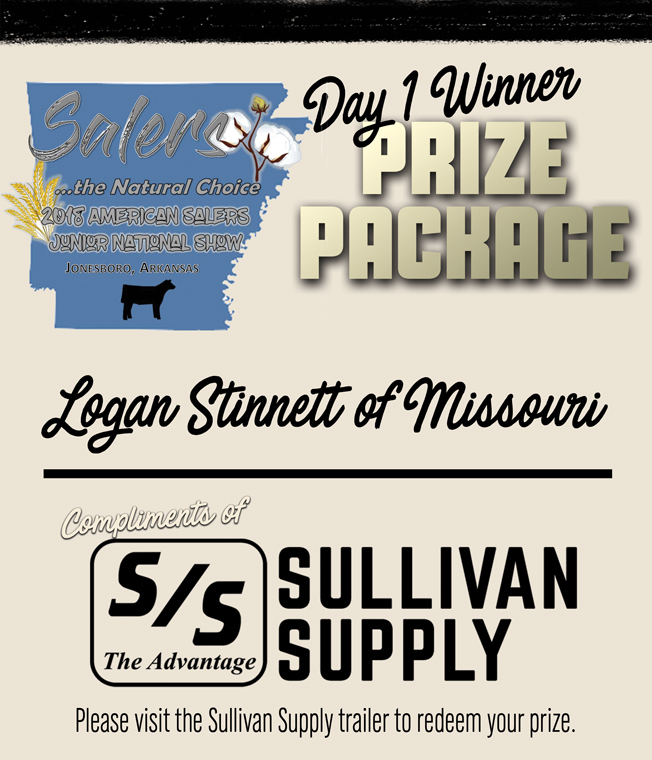 Congratulations to our first winner, Logan Sinnett of Missouri, please come to the Sullivan Supply trailer to claim your prize!